As the former U.S. Attorney for the District of Massachusetts, Carmen has extensive experience as a trial lawyer, investigator and crisis manager. She focuses her practice on internal investigations, corporate compliance, civil litigation, and white collar criminal defense. 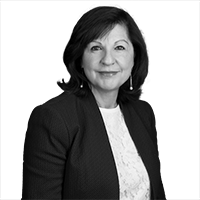 Carmen also has significant experience with sexual harassment investigations and claims, and high-stakes employment litigation. During her tenure as the U.S. Attorney from 2009 to 2017, Carmen led an office of more than 200 attorneys and support staff in Boston, Worcester and Springfield. She oversaw the investigation and litigation of many significant and complex criminal and civil cases in matters involving financial and securities fraud, healthcare fraud, public corruption, money laundering, cybercrimes, national security, organized crime and violent crime. Among other high profile matters, she directed the prosecutions of Whitey Bulger and the Boston Marathon bomber. Carmen also had significant achievements in the healthcare fraud arena, leading the District of Massachusetts to some of the largest civil healthcare fraud settlements in U.S. history. Carmen served as Co-Chair of the Attorney General’s Healthcare Fraud Working Group from 2010 through 2015. Carmen was also a member of the Attorney General’s Advisory Committee from 2012 until 2014, and a member of the AGAC’s subcommittees on Civil Rights, White Collar Crime, Terrorism and National Security and Cyber Crimes/Intellectual Property. She earned high marks for her ability to manage high-profile situations under the media spotlight, to provide leadership and direction in crisis situations, and to facilitate decision-making between law enforcement partners, political leaders and community representatives. As U.S. Attorney, protecting the civil rights of the residents of Massachusetts was a top priority for Carmen, and she implemented the District’s first Civil Rights Unit aimed at reinvigorating enforcement of federal civil rights laws. She also broadened the Office’s outreach and engagement efforts, meeting regularly with community groups on a variety of issues to promote public safety, community policing and civil rights. Prior to becoming U.S. Attorney, Carmen honed her litigation skills as both a federal and state prosecutor, as well as a defense attorney, trying over 60 jury cases to verdict. She was an Assistant U.S. Attorney in the Economic Crimes Unit of the U.S. Attorney’s Office, and also served for eight years as an Assistant District Attorney in Middlesex County, where she supervised the District Court prosecutors, and prosecuted homicides, sexual assaults and robberies. In 1991, on behalf of the National Football League, Ms. Ortiz investigated allegations of sexual harassment made by a sportswriter against the New England Patriots. In 1992, she was part of a Senate Foreign Relations Committee team that investigated “October Surprise”, the Congressional inquiry into allegations that members of the 1980 Reagan-Bush presidential campaign delayed the release of 52 Americans held hostage by Iran. 2016: Top Women of Law Honoree, Massachusetts Lawyers Weekly; Get Konnected 100 - Boston's 100 Most Influential People of Color; The Belva Ann Lockwood Award, Law Association of Women, George Washington University Law School. 2014: Latina Lawyer of the Year, Hispanic National Bar Association; 100 Most Influential People for the Hispanic Community of Massachusetts, El Planeta Newspaper (2011 – 2014). 2013: New England Women’s Leadership Award, Boys & Girls Club of Dorchester. 2012: Bostonian of the Year, The Boston Globe; Latina of the Year, El Mundo Newspaper; Pinnacle Award Honoree, Greater Boston Chamber of Commerce, Women’s Network; Community Service Award, Mass. Association of Minority Law Enforcement Officers; Honorary Doctor of Laws Degree, New England Law | Boston and Adelphi University. 2011: First One Award, uAspire; Outstanding Contributions to the Community, Beth Israel Deaconess; Las Primeras Award for Exemplary Achievement, Mass. Association of Hispanic Attorneys. 2010: President’s Award, Women in Federal Law Enforcement Foundation; J. William Fulbright Distinguished Public Service Award, George Washington University Law School; Pioneering Women of Color Award, Mass. Women’s Bar Association; Lifetime Achievement Award, La Alianza Hispana. Speaker, 7th Annual Banking Symposium, November 2018.